To first understand the beautiful benefits of moringa oil, you must learn about where it comes. Only then will you begin to see why it is sometimes called the “miracle tree” or “tree of life”. It is a very valuable food crop as it is drought resistant, grows very fast, and highly nutritive. The Moringa oleifera tree is the most common species of the genus moringa in the flowering plant family moringaceae. It is native to India and countries in the Himalayan region and is a fast growing, deciduous tree. It is mostly revered because of its nutritious antioxidants, which are potent but it also has anti-inflammatory effects too. It is an all-around giver of goodness with vitamins A, B, C, D, E, and minerals including potassium, calcium, iron, selenium, and magnesium. The leaves are small, thick, and the bulk of its nutritional value is found in the younger leaves. The older the leaves the less nutrition, which is why harvesting is done early when moringa leaves are still saplings. The leaves are then dried and chopped into a deep green powder which can be encapsulated, bagged as a loose powder, or the leaves can kept intact and used as a tea. This is a famous tree and oil that the skin and beauty care industry loves to incorporate into their creations. 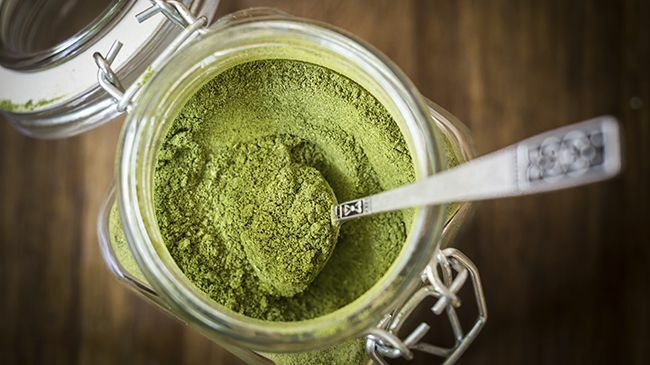 The natural goodness of moringa oil dates back thousands of years ago as the Romans recognized the natural properties and used it extensively in perfumes and the Egyptians prized the oil so much it was placed in vases in their tombs. They also appreciated its natural protective properties and used it on their skin to protect themselves from the harsh desert conditions. The oil is extracted from mature moringa seeds and can be used in cooking; hair, and skin care products. A favorite for its long shelf life, you can keep it at room temperatures for a long time without worry of going rancid. This powerful oil is known to have anti-aging, antibacterial, antiseptic, anti-inflammatory, antifungal, aids in acne and dark spot prevention, and beneficial in the treatment of edema. The oil is known to give skin a natural glow and it is a great oil for cooking too. Read more: What You Need to Know About Antibacterial, Antioxidants, Antifungal, and Anti-Inflammatory Oils. We are not done yet with what this amazing oil can do. This oil is famous for scalp massages and perfect for those suffering from dry, irritated, or inflamed scalps. With regular use it is believed to strengthen the hair and the scalp massages allows the oil to penetrate deep and the vitamins and minerals are quickly absorbed giving your hair and scalp a much need nourishment treatment. It even helps with sunburns with its soothing, anti-inflammatory properties that will soothe your body and your scalp! Add to your shampoo or cleansing conditioner to add extra nourishing cleansing, your conditioner for extra moisturizing and to your leave-in for extra shine. Don’t forget it makes for a great hot oil treatment too. This oil is great for just about everything for your hair and scalp as well as your entire body. Have you tried the wonderful moringa oil?